We are seeking C4I System Engineer to Join our team and be part of a growing small business that values its employees and strives to create a positive work environment and provides a competitive salary and benefits package, while offering excellent opportunities for advancement. C4I system Configuration Control (i.e., ICD changes, maintenance of FID, SIDs, LARs, SCDs). 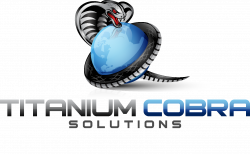 Titanium Cobra Solutions, a CVE Certified Service-Disabled Veteran Owned Small Business (SDVOSB) and a California Certified Disabled Veteran Business Enterprise (DVBE), specializes in delivering program management excellence, information technology solutions, strategic consulting, and customized training services. Founded in 2010, Military Veteran managed, and headquartered in San Diego, California: We provide our government and commercial clients with a diversified and agile portfolio of professional expertise and innovative solutions.